Melt the ghee in a large skillet placed over medium-high heat. Once the fat is nice and hot, add the chicken and cook until golden brown, about 6 to 8 minutes total. Add ½ cup water and deglaze the pan, then stir in salt, pepper, garam masala and freshly ground nutmeg. Add the apple and sauté for about one minute, or until the apple is slightly softened. 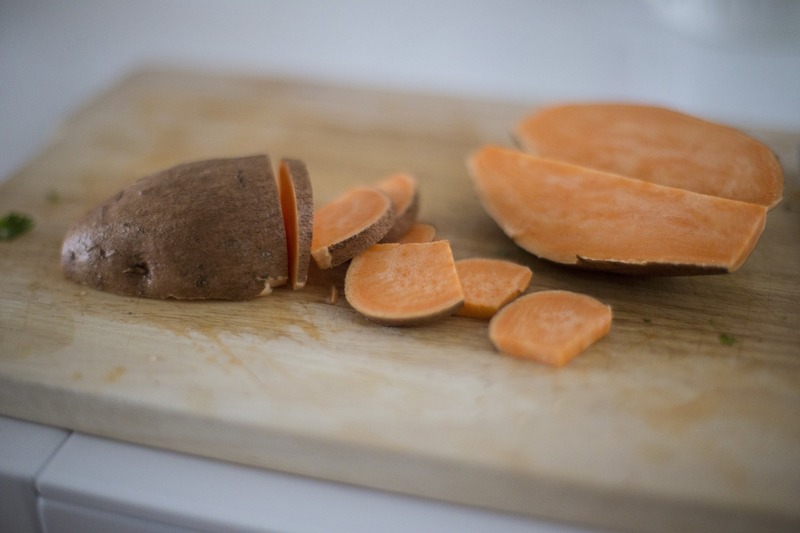 Throw in the spiralized sweet potato, add another ½ cup of water and cook, stirring delicately until the sweet potato is soft and water is almost completely evaporated. Kill the heat, throw in the chopped spinach and raisins. Stir delicately until the ingredients are evenly distributed and spinach is sufficiently wilted.